It's easy to become overwhelmed by the amount of bad news cycling through your feed these days. We're tempted to despair, to believe that nothing good could ever come out of the horrors of war, hunger, homelessness, and storms. It would be natural to develop a single story, a one-dimensional narrative for the countries parading across our screens: Syria = Refugee. Ethiopia = Famine. Iraq = Terrorism. Haiti = Hurricane. But we mustn't do that! We need to fight the urge to turn millions of people with diverse cultures and languages, hopes and dreams, careers and education into a monochromatic landscape of doom. Here to challenge one pervasive "single story" is a group of creative men from Erbil, Kurdistan. 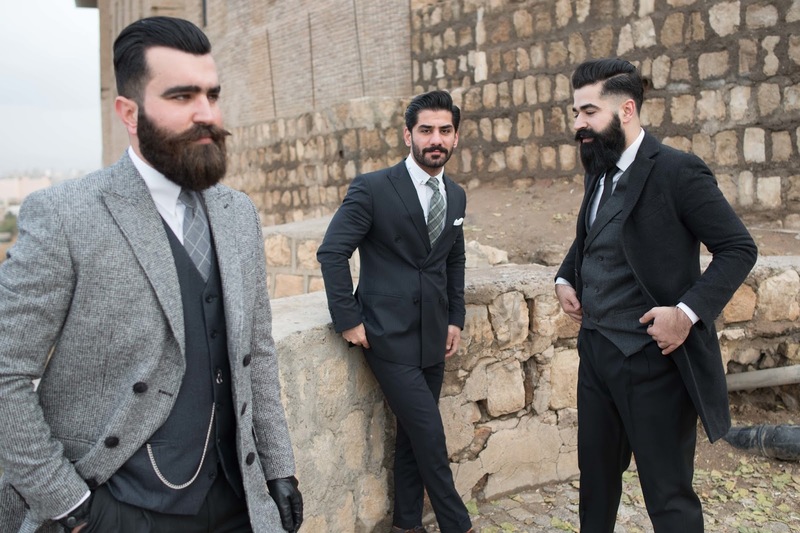 It's not all bombs and ISIS in Iraq; it's also fashion and dignity, art and protest, hope and excellent beards.